Majority of households—especially those who are executives and those who don’t have small kids at home—prefer formal living rooms because this exudes sophistication and class. Before, a formal living room—which was known as the parlor or drawing room where meetings usually take place—is considered as the main highlight of the house because this is where the finest and most expensive possessions of the homeowners are showcased and displayed. Technically, a formal living room should be composed of ceiling that has two storeys and adjacent to the dining room and to the foyer. This should also have an exquisite set of tall windows that come in classy design. The décors should come in symmetrical forms and the treatments in the windows or ceilings should involve fabrics that are opulent, trimmed, braided, or fringed. But today, there can be variations when it comes to designing a formal living room. In fact, more and more people prefer formal living rooms that have lesser “formal look.” This is done by retaining the basic elements like intricate and heavy fabrics and using window treatments that come in light shades and furniture pieces that are more comfortable. If you want to create a formal living room in your own abode, make sure that you familiarize yourself with the basics of designing one. Make sure that you know what are the pieces of furniture to be used and the kind of fabric that will match these furniture pieces. And since formal living rooms are all about symmetry of design, make sure that you know the proper placing of decors and other decorations to complete the space. The following distinguishing factors may help you to achieve the formal living room that will match your taste, style, and preference. Formal yet friendly. To create a satisfying formal living room, make sure that it contains elements of the traditional formal living that comes with more comfortable furniture pieces. To make the living room friendlier, try to use color combinations that are bright. Vivid colors such as blue, red, and khaki may do this. Highlighting the positive. In formal living rooms, make sure that the decors and furniture pieces are highlighted carefully. For example, a fireplace should be that main accent of the wall. This should be complemented with furnishings or draperies that come in rich and heavy trimmed fabrics. Complementing colors. Color is very important to achieve a beautiful formal living room. They should come in vivid colors to accentuate major furniture pieces. To make it more interesting and unique, try to intersect the colors to achieve an eye-catching effect. 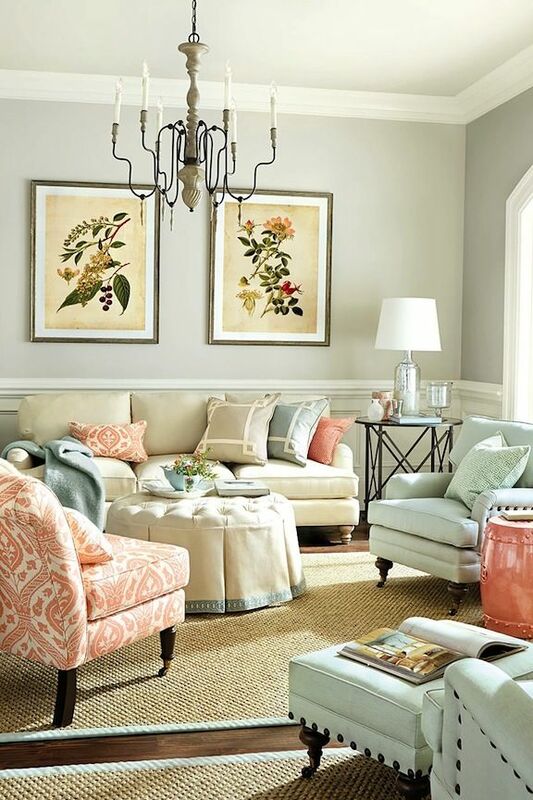 Here’s a step-by-step procedure to create a simple formal living room. 1. Place the sofa where the fireplace and television are both viewed. 2. Near the fireplace, place a pair of chairs flanks that come in shades of green. 3. Place an antique grandfather clock on one corner and a tall plant in one corner to balance it. 4. Put a stepstool beside one of the chairs that will serves as a side table. 5. Place a floor lamp beside the other chair to balance the stepstool. 6. On the mantel, place at least two model ships to exude an intense statement. 7. To complete the formal living room, use vibrant window treatments and make sure that these colors are above an average person’s eye level.